We were approached by a former client to work on a new project (our first return customer). He wanted us to help him come up with a complete brand for a selection of services he offers, including a name, logos and make a parent page that provided easy access to all his current ventures. We were asked to make 3 logos: the parent company, video production and music tuition. We were given a number of criteria to work with. Specifically we were told that the moon was an important image to the company, specifically the crescent moon. We were also told that we needed to incorporate the two company colours, green and blue. We spent the longest amount of time on the name, attempting various plays on the word moon. 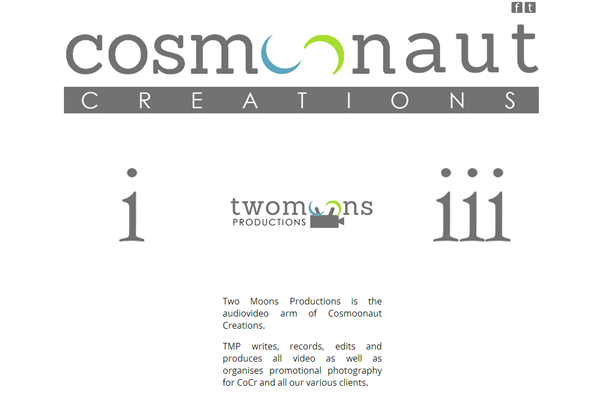 Cosmoonaut appealed to the clients sense of humour and afinity for word play. "I'd used Swift Digital Media before, so I already knew the level of professionalism and quality of service I was going to get. I was involved in every part of the design process. 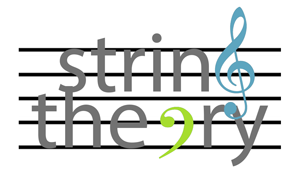 I love the brand they've come up with for my company and I look forward to working with them again in the future when I launch a social media campaign for String Theory." Other WorkHave a look at some of our other sites. A family website documenting an ongoing court case. A pest control and extermination company in Glasgow. A computer games development company based in Paisley. A multimedia company, based in Paisley, Scotland. A music blog delivering news, reviews and opinions on the music industry. "I love the site boys, thanks for your hard work!" by: Carol McNamara, Tods Murray v Arakin. 51% of people expect leading brands to be on top of the search results page.